Visualization is an essential part of a data analyst's toolkit. When you're in the exploratory phase of data analysis, visualizations can help you understand data and find patterns in it. Later, when you want to present the data to others, visualizations are essential for efficiently communicating your findings. In this webcast presented by Winston Chang, author of R graphics Cookbook, you'll learn the basics of how to create data graphics using R and the popular ggplot2 package. 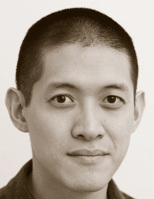 Winston Chang is a software engineer at RStudio, where he works on data visualization and software development tools for R. He has a Ph.D. in Psychology from Northwestern University, and created the Cookbook for R website, which contains recipes for common tasks in R.